Dr David Pieter van Velden is a registered Family Physician with a special interest in lifestyle-related diseases and the interaction of environmental influences on genetic predisposition in the management of chronic and degenerative diseases. He is very active in the scientific reporting of health-related issues for the lay-public, and initiated research in Integrative Medicine to stimulate the natural healing potential of the body. He is a strong advocate of natural interventions such as diet and exercise to manage the modern lifestyle-related diseases and support the application of pathology supported genetic testing to identify modifiable gene-environment interactions in the phenotypic expression of disease. Dawie is actively involved in applied genetics research and made a significant contribution to the development of innovative education programs using a multidisciplinary team approach. Email adress:dpvv@sun.ac.za. Qualifications: MB, ChB (US), M Prax Med (UP), M Phil (Journalism) (US) Field of Practice: Medical Journalist RESEARCH INTEREST: Dr van Velden’s research focuses on the potential health benefits and risks of moderate alcohol consumption in relation to the interplay among genes, diet and lifestyle. This initiative aims to bridge the gap between molecular genetics and clinical practice. Scientists, genetic counsellors and clinicians that participate in developing the model will contribute to the transformation of molecular genetics from a primarily laboratory-based science to an information and knowledge management discipline. Integrative Medicine. 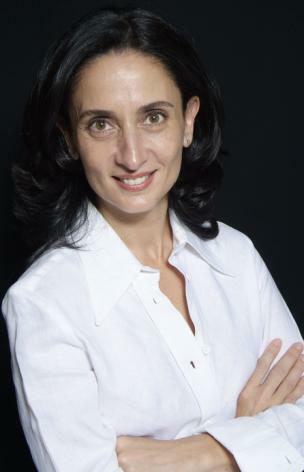 Dr. Maria Christodoulou is the Programme Coordinator for Integrative Medicine at the University of Stellenbosch’s Faculty of Health Sciences, and a leading Health Coach. She has a wide range of knowledge and experience derived from more than 20 years in integrative healthcare and ongoing health coaching in the private and public sector.Based in Cape Town, Maria graduated from Stellenbosch University in 1990 and went on to establish a successful private practice offering integrative care. She is known for her expertise in the support of people living with cancer and extensive experience in the management of stress-related and chronic lifestyle diseases. In 2005 she completed a Diploma in Practitioner Coaching and transitioned from Integrative Medical Practitioner to full-time Health Coach. In 2009 she was appointed Program Coordinator for Integrative Medicine at the University of Stellenbosch’s Faculty of Health Sciences where she is responsible for designing, implementing and coordinating a year-long, online, distance-learning certification in Integrative Medicine for doctors. The course represents an innovation in medical education in its bid to meet a growing demand for practical applications of systems-thinking in medicine, and integration of traditional, complementary and alternative medicine in primary care. This, along with its emphasis on the importance of practitioner self-awareness in the therapeutic relationship, makes it the first academic initiative of its kind in South Africa, and perhaps even Africa. Maria is a registered member of the HPCSA (Health Professions Council of South Africa) and COMENSA (Coaches and Mentors of South Africa). She is also a lecturer and member of faculty at The Coaching Centre, where she teaches health coaching as part of an integral coaching program and participates in the supervision and assessment of coaching students. She has spent most of her career supporting people to transform their lives by developing their capacity to access inner resources, leadership ability and creative thinking. Qualifications: MBChB (Stell)/Dip. Hom (CEDH)/Dip. Practitioner Coaching (TCC) Email address: mchristo@sun.ac.za; Tel number: contact number 083 459 9736.